Ramona Singer to Bring Turtle Time to Newport WineFest and Beyond! The 2nd annual Newport WineFest, unfolding this weekend has already created quite a buzz (no pun intended) with fabulous events and amazing talent including Chef Tiffani Faison (first season of Bravo’s “Top Chef” and “Top Chef All-Stars,” private chef f or Will and Jada Smith), Chef Dave Martin (also first season of Bravo’s “Top Chef”) and Chef Todd Winer (worked with Charlie Palmer, Bobby Flay, and Todd English). But the rumors have been swirling most recently about Real Housewife of New York Ramona Singer joining the bill to tout her own line, Ramona Pinot Grigio (which we featured in this post when we interviewed the multi-business mogul and fashion aficionado in March). Ramona emailed me personally yesterday and today and is looking forward to her Newport weekend. She’ll be pouring her pinot at Friday evening’s Newport UnCorked event, Saturday evening’s Grand Tasting Session II, and the Celebrity Chefs & Prosecco Brunch. She’s also be appearing on August 19 at Pier Liquors in Narragansett, (29 Pier Market Place, from 4-6pm) and on August 20 at Vicker’s Liquors in Newport (274 Bellevue Avenue in the Bellevue Plaza, from 4-5pm). Turtle time! 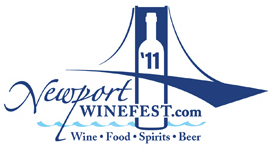 For a schedule, event, chef and ticket information about Newport WineFest, click here. Entry filed under: Uncategorized. Tags: nautical Newport style, newport ri sales, newport ri shopping, newport ri visit, Newport ri wines, newport style, Newport wine events 2011, Newport Wine fest, Opici wine RI, Opici Wines, Ramona Pinot Grigio, Ramona Singer, Ramona Singer appearances, Ramona Singer New York, Ramona Singer Newort wine fest, Ramona Singer Newport, Ramona Singer Newport winefest, Ramona Singer Pinot Grigio, Ramona Singer pinot retailers, Ramona Singer pinot sale, Ramona Singer Real Housewives, Ramona Singer RHONY, Ramona Singer RI, Real Housewives of New York.